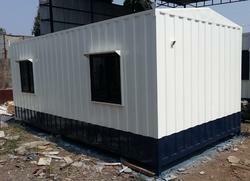 We, Icon Portable Cabins Established in 2018. We are dedicated to developing long-term and mutually-enriching relationships with our customers by offering them exactly what they demand. 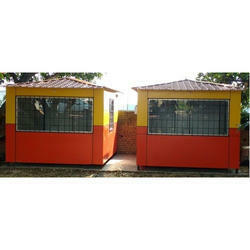 Our company is recognized worldwide as a leading Manufacturer and Trader of different types of portable cabins including a durable range of Portable Cabins, PUF Panel Portable Cabin, ACP Portable Cabin, Bunk House Cabin etc. 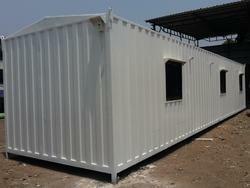 We have expertise in manufacturing extremely functional, space-efficient and cost-effective portable cabins, buildings, and so on in all possible sizes and construction materials - a reason why customers always prefer us to our competitors for addressing their various portable housing needs. From formal office accommodation, comfortable eating & relaxation areas, compact toilet & shower facilities to site security units, we have a proven track record of offering tailor-made designs and styles that perfectly aligns with customers' specific construction requirement. 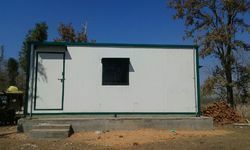 We have a wide range of well designed and constructed prefabricated cabins made from low maintenance materials that are easy to transport and install. There is a good resale market for cabins and they are easy to relocate when no longer required for their original purpose. Icon Portable Cabins provides secure, comfortable working accommodations to project staff engaged in the delivery of fast track building solutions. 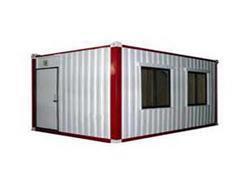 These durable steel units are supplied in various standard layouts, which embrace office and welfare accommodations. We have lots of different cabin designs that are suitable for caravan park accommodation or backpacker units and are happy to customize them to your requirements. For example, if you are looking to cater for backpackers and want a long module that has 4 bedrooms with 2 double-decker bunks in each bedroom, we can build it!